It might be said that Vietnamese street food has been now devoting much to spread Vietnam images widely. It is so delicious, balance and unique tastes which make you never forget once try. The list mentioned below will be helpful for you to decide which dishes you wish to try first. 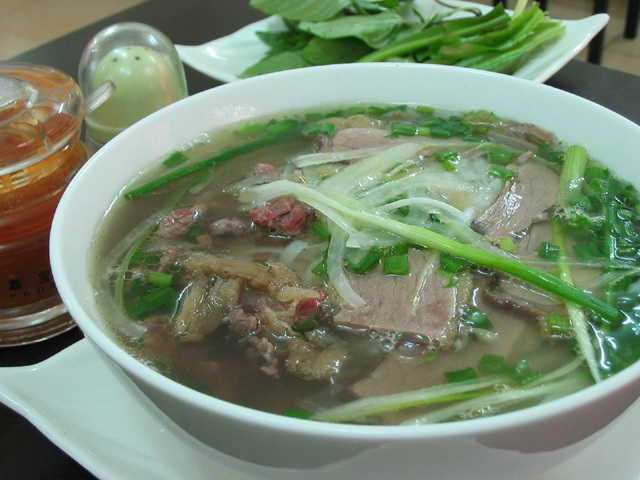 Pho is considered the most outstanding street food in Vietnam, you can easily recognize it every corner of Vietnam from the North to the South. In each religion, Pho has its own unique taste, but basically, Pho has 3 components including noodle, soup and beef. 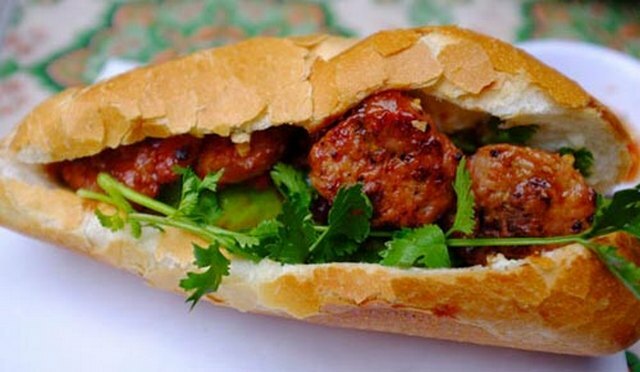 Banh my Vietnam has just announced as one of the best sandwich in the world by BBC. And Banh my Saigon is considered as the best of all with its diversity, including pork ham, liver paste, vegitables and pepper. It is truly everything inside. 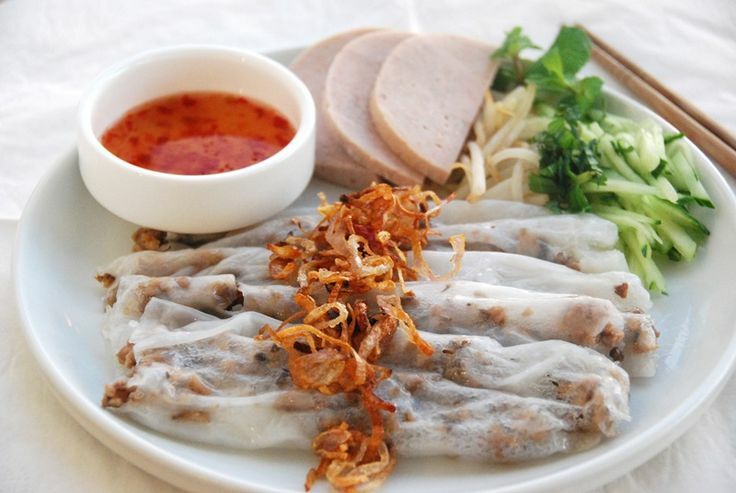 There are two different kind of banh cuon. Bank cuon filled with pork meat is unique in the North of Vietnam and Banh uot filled nothing inside is easily found at any street vendors in the southern of Vietnam. Both are made from steamed rice and then offered with fish sauce. It is so delicious dish filled many ingredients inside. You can enjoy the taste of pork or sometimes sea-food. But the mixture of vegetables in this dish make foreigners love it more. It is so interesting to enjoy this dish in the late of winter afternoon, it can inspire everything. It is so regretful if the list missing Che – one of the most sweet and delicious drink. 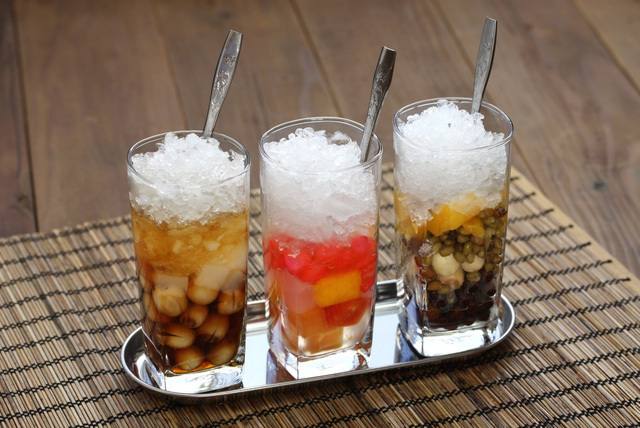 You can easily find this drink every street vendors in Vietnam, especially in summer. 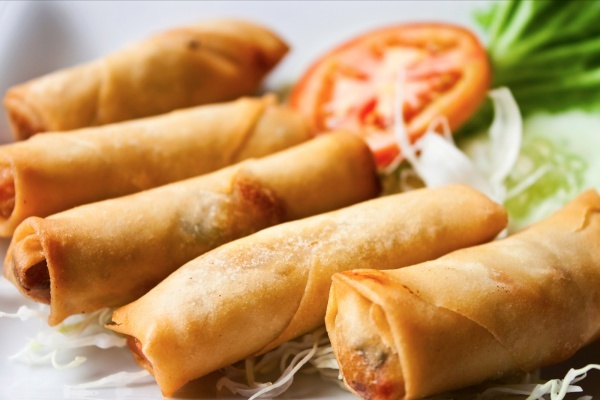 There are many different types of Che, such as Che Thai, Che Buoi, Che Sen and etc. It is generally the good mixture of beans,fruits and coconut favor.